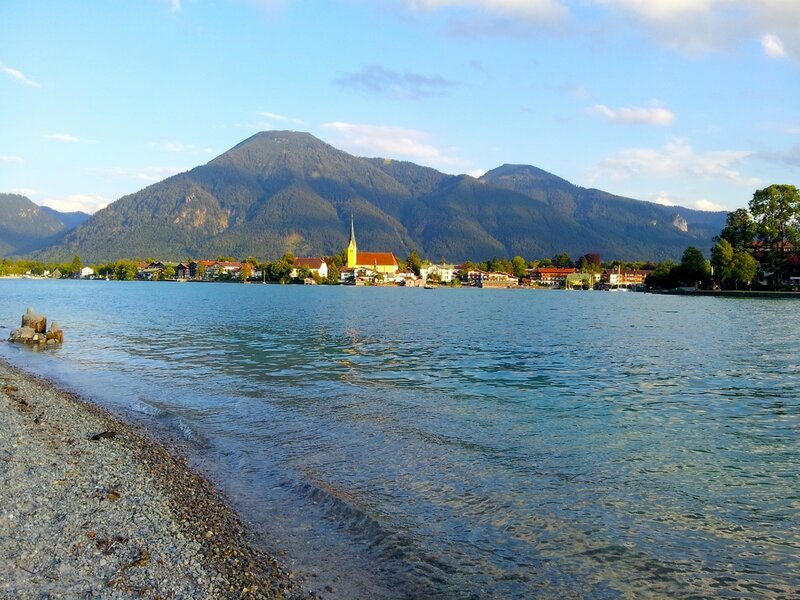 This day trip takes you to one of our absolute favorite locations: Lake Tegernsee in the foothills of the Bavarian Alps! Located one hour south of Munich, this beautiful lake and town has it all: wonderful views, amazing hikes, and great beer. 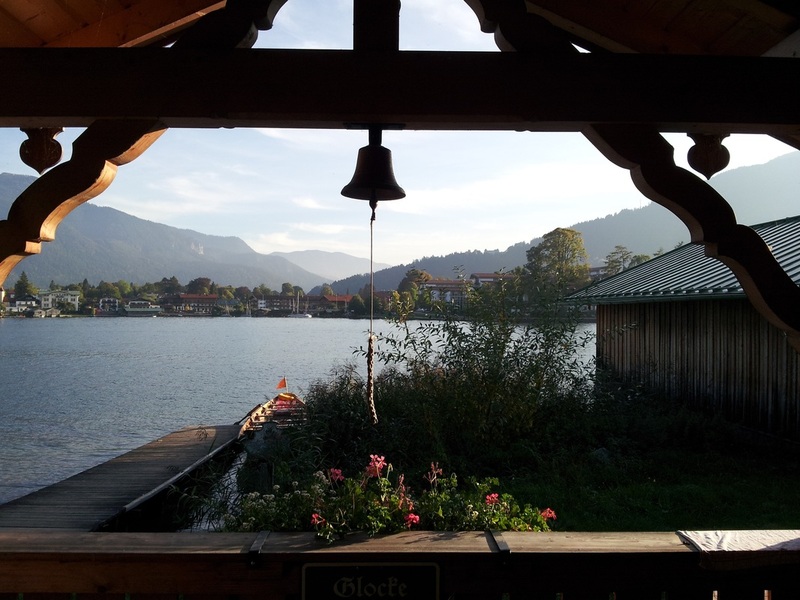 After taking a comfortable train directly from Munich, we walk a few minutes through the medieval half-timbered houses to the lake to admire the views. From there we take a 1.5 hour ferry ride around the entire lake. The ferry provides a cafe with beer and other beverages as well as cake and snacks. 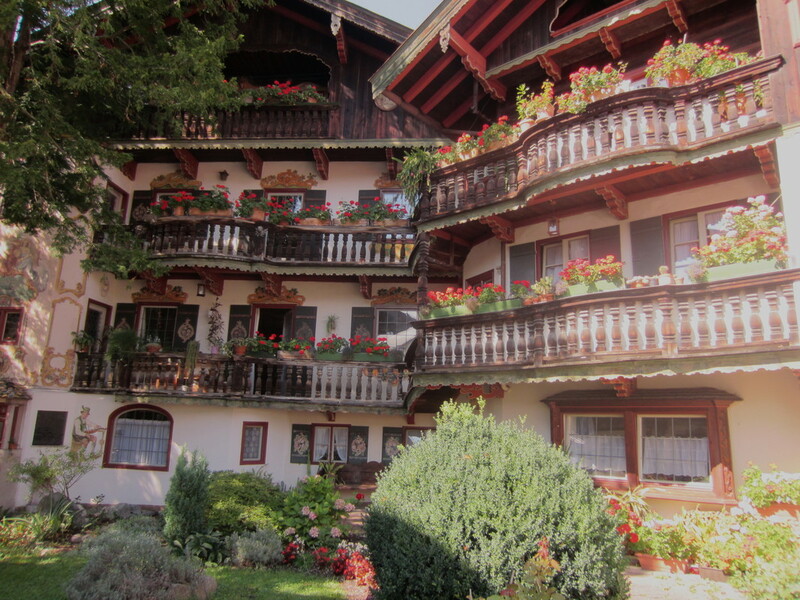 We disembark to have lunch at the fantastic Tegernseer Bräustuben. On the same location of a Benedictine Monastery that started here in 746 A.D., this centuries-old beer hall and restaurant is not to be missed. We love the local beer and the Schnapswürstl, a spicy sausage plate with homemade potato salad and mustard. We finish off with a stop at the souvenir and beer merchandise shop. 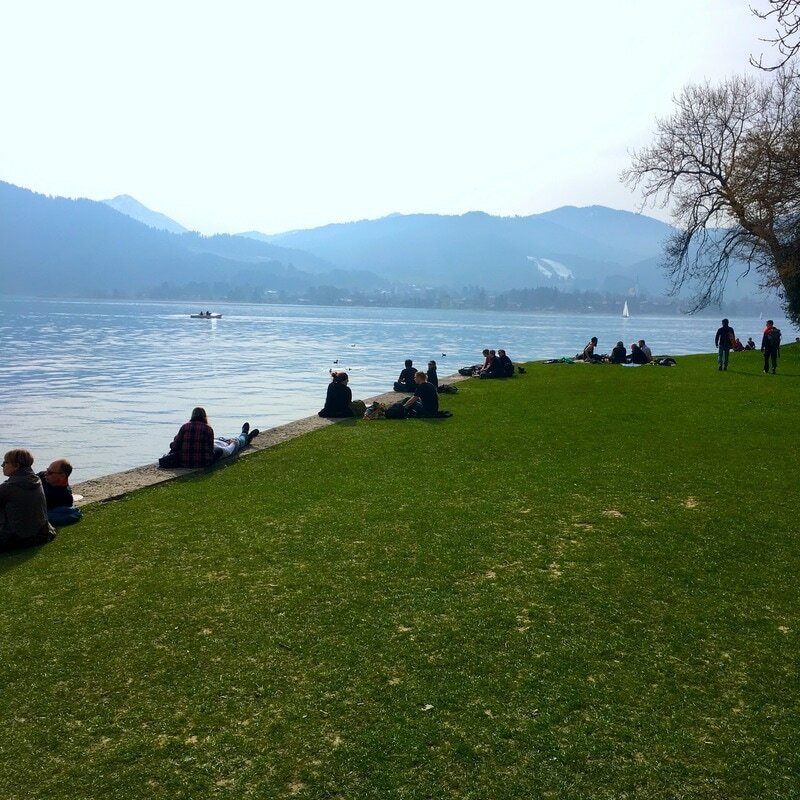 You can enjoy some delicious gelato or coffee before having some free time to relax on the lake or in the town before we head back to Munich. This is a trip that our guides take multiple times every year on their own, as they can’t get enough of this beautiful site! Come join us to take in a wonderful day on this amazing lake! This day trip takes place starting at the end of March until the end of October every year or otherwise based on availability. Full-day tour starts at €200/person (minimum 2 people) including train travel and ferry trip.